Who else is craving a bagel now? 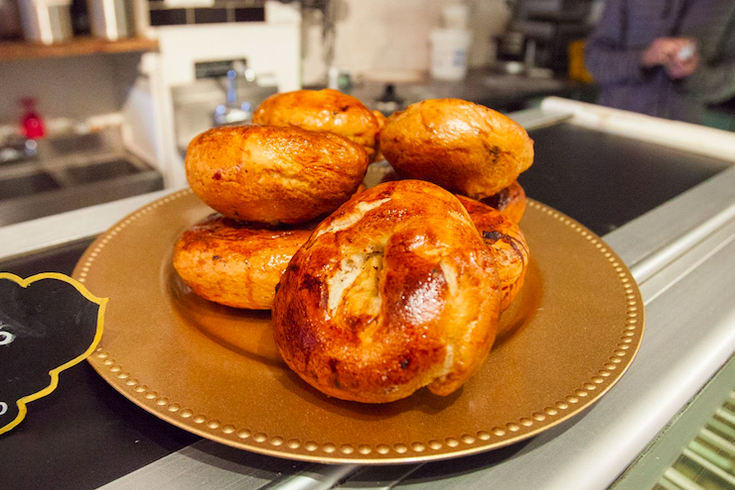 Popular bagel shop Philly Style Bagels is teaming up with Cadence, a South Kensington BYOB, for brunch on Sunday, April 8. Beginning at 11 a.m., you'll be able to grab a speciality bagel sandwich at Cadence. Below are the options. Each sandwich will be $9. To pair with the bagels, guests are encouraged to bring booze to the restaurant to add to house-made bloody mary mix or fresh-squeezed Seville orange juice. If you're not up for a boozy brunch, Cadence also offers cold-brewed teas, brown butter-washed cold brew coffee and Keepwell concord grape vinegar soda. The speciality bagel sandwiches will be available until 3 p.m., or until sold out.